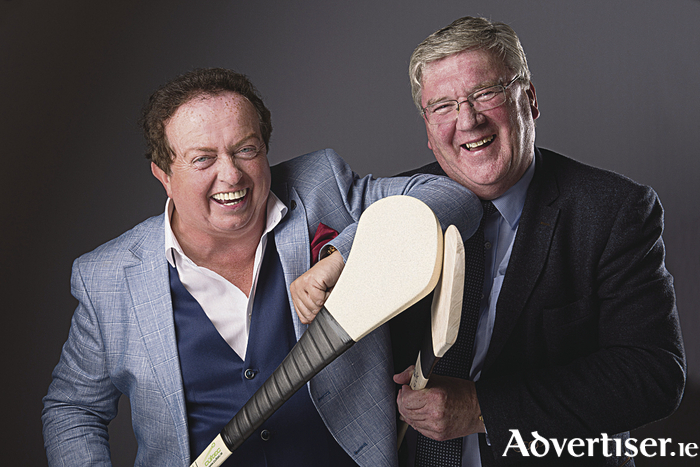 Supermac’s has announced this week that it is the new sponsors of The Marty Squad on RTÉ Radio 1. The show which returned to RTÉ Radio 1 on Sunday June 11 will air 6-7pm each Sunday.The Marty Squad, presented by Marty Morrissey and Brenda O’ Donoghue, takes a look at the weekend’s GAA action with guests and analysis. The show will travel across the country with outside broadcasts planned throughout the summer. The sponsorship runs for the whole GAA season up until September 24 and includes four sponsor-credited stings per show, podcast and homepage sponsorship. In addition to the sponsorship Supermac’s will be launching a campaign to promote the partnership. Supermac’s Managing Director, Pat McDonagh, said he was delighted to be on board with The Marty Squad. “Supermac’s is a strong supporter of the GAA throughout the country and the sponsorship of The Marty Squad is a natural fit for us,” he said. “Both Supermac’s and Marty are synonymous with the GAA and it is a tradition for fans to come together in Supermac’s after the big game for their own post-match analysis. “The post-match analysis on The Marty Squad will fuel the hunger that exists for top quality GAA analysis directly after the match. We will have a number of listeners competitions planned throughout the series and Supermac’s is delighted to be on board with The Marty Squad,” he concluded. Niamh O’Shea, Sales Manager, RTÉ Radio, said: ‘We are delighted to have Supermac’s coming on board as sponsors of The Marty Squad. RTÉ Radio 1 is the home of the GAA championship and the Marty Squad rounds off the week with the best of guests and analysis of all the GAA action. Supermac’s, as a long-standing supporter of GAA is the perfect fit with the show and it will make for a successful partnership. Pat & Una McDonagh, Directors of Supermac’s have expanded their hospitality business interests through the purchase and development of the Castletroy Park Hotel, Limerick, Loughrea Hotel & Spa, Galway, and most recently the Charleville Park Hotel, Cork and The Killeshin Hotel, Portlaoise as well as well as the Claddagh Group of Pubs in the US. The Barack Obama Plaza, which opened on the M7 Motorway 2014, is now joined by Tipperary Town Plaza, Mallow N20 Plaza and The Galway Plaza at Junction 16 on the M6 as part of the destination motor services businesses developed on key national roads by Pat & Una McDonagh.